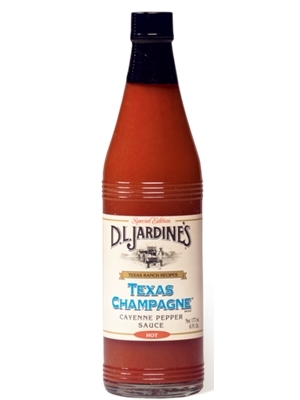 Jardine's Texas Champagne Hot Pepper Hot Sauce 6 oz. Hot Sauce → Cayenne → D.L. Jardine's Texas Champagne Hot Pepper Hot Sauce 6 oz. Cayenne red peppers, vinegar and salt.